Every year, our private investigative firm receives thousands of calls and emails across our 5 California offices. While many of these requests ultimately result in us being retained and assisting the client, today I want to talk about the other ones – the ones we turn down. To every caller, the services we are asked to perform always seem logical and reasonable. But some are simply not versed in what private investigators actually do. Many of them have been influenced by Hollywood versions of private investigators. They don’t realize we have to work within the law, and the governing rules and regulations of our industry. Every day, someone asks us to do something for them that is in fact illegal – and punishable by prison and fines. Every day, someone asks us to do something for them that is in fact illegal – and punishable by prison and fines. Others services are governed by extremely tight laws and only can be accepted by us with a very limited scope. Over the past couple of months, I decided to compile these types of requests, and group them into categories. This allowed me to come up with a top 10 list of services we either won’t perform – or will only perform only under very tight restrictions, under the direction in writing from an attorney and/or they meet the severe limitations of the civil and criminal codes of conduct. I want to access someone’s text messages. I want to access someone’s cell phone records. I want to know what someone is saying/writing on their social media accounts. I want to have someone’s emails for the past six months. I want to put a GPS device on someone’s vehicle. I want to put a “wiretap” on someone’s home phone. I want to download someone’s data on their personal or home computer. Numbers 1-7 will never be done by our agency or accepted as an assignment under any circumstances – including if you have unlimited funds. I want to get a copy of someone’s credit report. This will only be done when the subject gives their written permission. This is common by an employer who is hiring new employees. I want to run a license plate for the registered owner and their address. This will only be completed by accessing the Department of Motor Vehicles in the appropriate state but only under their written guidelines. For example, the subject gives us permission to run their driving record. A subpoena is issued by the court in a pending matter like a vehicle accident. We will not run a plate because someone saw a “cute” subject driving a vehicle on the freeway. I want to know how much money someone has in their bank, savings and checking accounts. This can only be done when severe standards and criteria are meet. These include, but are not limited to, the Gramm-Leach-Bliley Act (GLBA) and the Fair Credit Reporting Act. 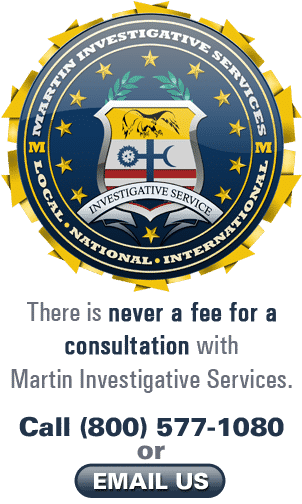 My goal in providing this list is not only for your own knowledge, but also in case your private investigator’s level of integrity has fallen short of any acceptable standards. As the client, you too can be fined, arrested and jailed if you participate in the fraud or breaking of the law, be it a misdemeanor or felony. Ignorance is not a defense you want if you find yourself on the defense in a court of law. If you have any doubts about what is legal, you should always consult an attorney. The next option is to ask your private investigator what they can and can not do. If they vary from these guidelines above, find another investigator.